Now let’s try it that way… | A Writer's Life For Me. I realised something recently about my planning process. For each book I have written so far, I have planned them each with a different technique. I haven’t done this on purpose 😀 It is just something that has happened naturally as I started to plan. It was an interesting observation about my planning style that I didn’t really notice until today. Possibly it’s because I write different sub-genres and it works better in my head for certain genres to be planned out certain ways. 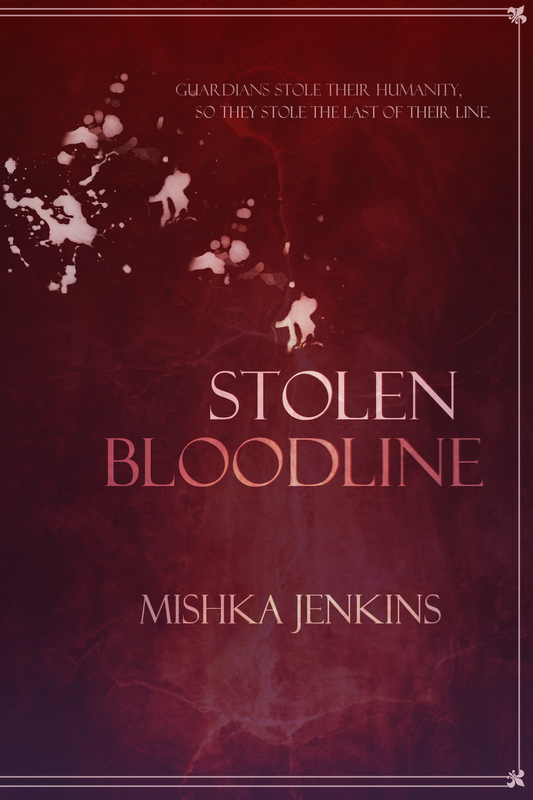 – Stolen Bloodline: I didn’t have much of a plan at all, I wrote scenes that I liked and then worked them all together. 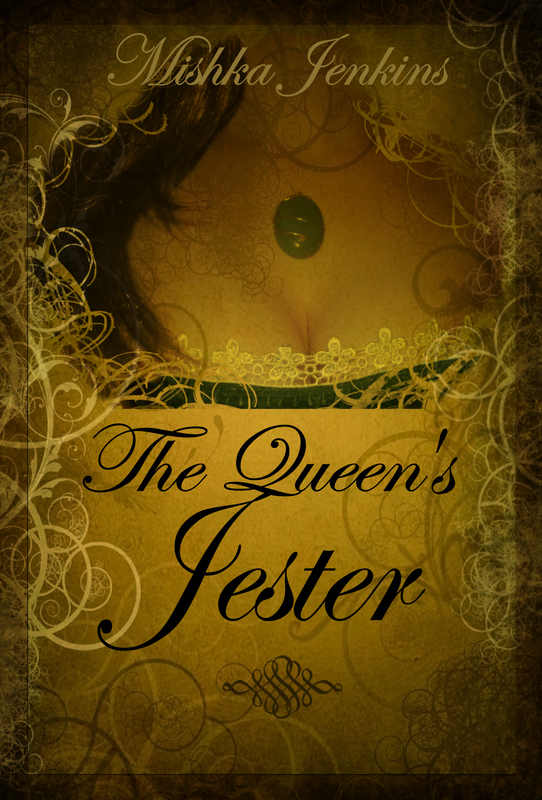 – The Queen’s Jester: I made an incredibly detailed bullet point plan that had every single scene and moment detailed on it. 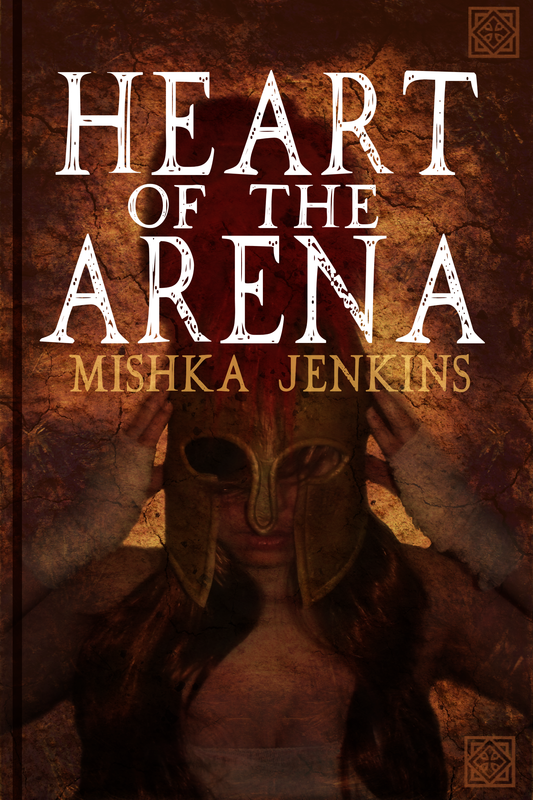 – Heart of the Arena: I did something similar to The Queen‘s Jester, but the bullet point style was loose, only detailing big scenes and not specific moments. 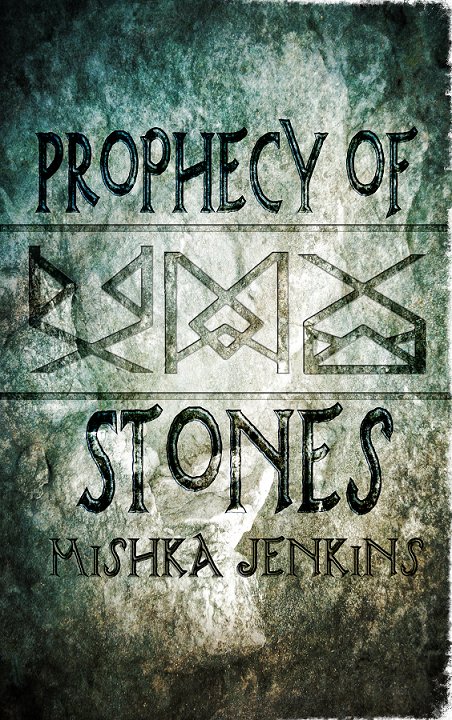 – Prophecy of Stones: I planned out like a map. The characters go on a quest-style journey, so I plotted out the map and the route they would take, then I noted down what happened at each location on the map. – For my next book (number 5! ): I have taken the approach of noting down scenes on notelets and spreading them out on the floor. Obviously there are a lot more notelets than this! But you get the idea. Have you tried out different planning methods? Do you use one method that works for you all the time? Do you have any planning tips or tricks for others? Status of fifth manuscript: Writing first draft. Word count: 5100 (Total word count: 8863). Mid-August book review: Written and ready. This entry was posted in Writing and tagged author, creative writing, creativity, ebook, first draft, indie author, indie writer, methods of plotting, motivation, plotting a book, romance, romance writer, self publishing, stories, story, writer, writers life, writing, writing advice, writing blog, writing career, writing plan, writing tips. Bookmark the permalink. I haven’t tried a flow chart though, that sounds like it might make for a good way to plan. I have a method that works for my academic writing. Once I tackle a project, I know/decide the final word count, then I break it down into sections (and sometimes sub sections) so I know how long each bit will be, and it helps me plan my schedule too. Once I have the structure, it helps me tackle things in an efficient manner. I can’t work without the exact structure, and word breakdown. 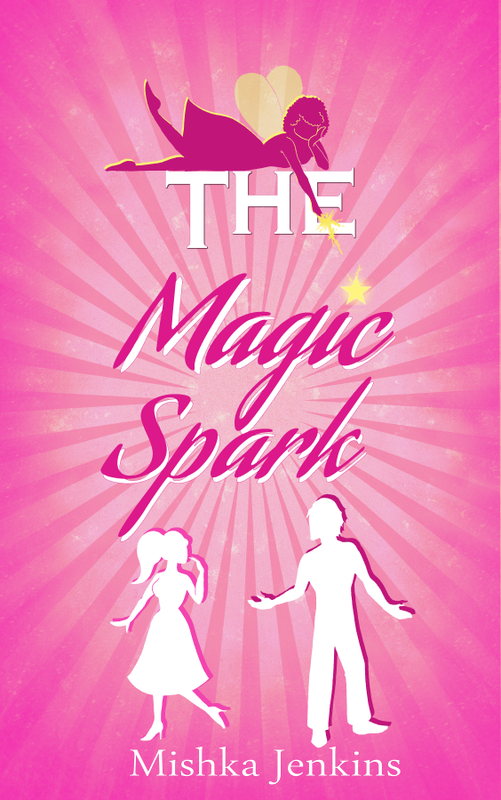 For fiction, well my first novella was written from A to Z without much of a plan at all. My first novel had the prologue coming to life first, then I had tons of notes about characters, locations and had a loose structure. My other fiction projects are just at the stage of random notes and world building. You know, that way of planning out academic work actually sounds like something that might translate well to fiction. Especially if you had a specific word count for a short story competition or something. Thank you for sharing 🙂 It’s always fun to find out how others do things! As for the blog posts, I only have a list of topics and I tackle things one after the other, save for my big ongoing series that I build in structure, to know the order of posts, and then I wrote everything before posting the first installment. That’s how I wrote my blog posts for many months! Over the recent ones, I have been able to keep track of things better and I pile up posts and schedule them as I write, which is why there is a lot of reviews! That’s an excellent idea and great post! I love it, Mishka! Thanks for sharing those! Glad you enjoyed it 😀 It’s fun to notice things we do in our own writing process. You also write your outlines out in real handwriting on real paper. Mine is all computer files of scrivener card. With RC&R it was mind maps scribbled on paper. Very interesting to see how you work. You know, I didn’t notice that either 😀 But yeah, I always plan my work out in handwriting! Though I am getting more and more tempted by scrivener! I have a huge wipe board that I plan on. Like you, depending on the novel I use different techniques to help me along the way. 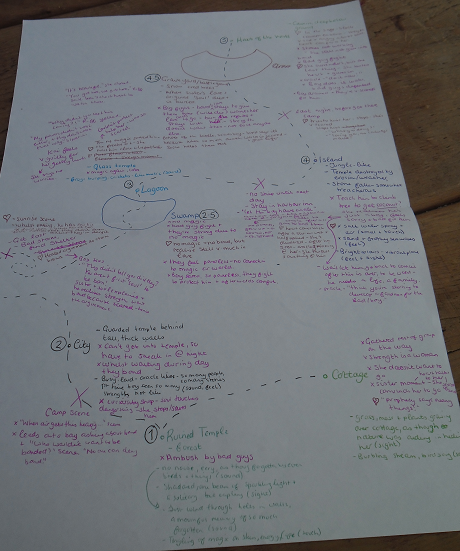 In my last book I had a kind of hierarchy – I placed Morgan and Fairchild in a tree and wrote links, descriptions, etc. in a variety of colours to help me keep track. I don’t plot out scenes, but I’m going to try that with a future book. I’m also going to try (I hope you’re sitting down), writing the ending first. Wow, I feel a little dizzy just thinking about it! Great post, Mishka. I love learning about other processes and I learn a great deal from you planning techniques. I have to admit, I am a fan of writing the ending first 😀 I think it helps gives me something to look to, and also I don’t rush the ending just to get the book finished! I have used a few different methods, but lately I’ve stuck to one because so far it’s been working like a charm for me. I taped index cards in a notebook and each card is something different (list of characters, plot points, other notes, etc.) and then I place sticky notes in the notebook outlining every little thing that happens in each scene. I number the sticky notes, too in case they get unstuck. But, if I need to add or delete a scene, I can easily move them around. I put them in the notebook so they stay stuck and it’s easier to carry around. That’s a brilliant idea! I think that’s why the notelets worked for me, being able to move them around where needed and see if it worked better. It’s interesting how every project takes its own path 🙂 I like the notelets idea, I may try that one day! I think each way of planning has helped the different ways I write for the genre I have chosen. The notelets were useful and very flexible for seeing how different scenes worked in different places. Though you are well past the planning stage on your current work, right? 😀 Hope the editing is going well! Very cool – I love the map idea! My first book was planned and contained pretty much entirely in my own headspace. I didn’t outline until the last 3/4 of the book (and maybe it kind of shows and becomes brutually obvious in earlier drafts). I made notes on post-its, usually just a few words or a central idea or character names, and went from there. Book 2 was outlined almost entirely. A few scenes and subplots grew organically from the characters and situations, but my approach was much more rehearsed and methodical. Still lots of wiggle room and change-ups, but I don’t think it veered too far off the initial plan. I’m drumming up ideas for Book 3 now, and will be outlining again. I’ve become really, really sold on the necessity of outlines! It’s a bit different for short stories, at least in my case. My forthcoming work is a short horror story that was written in a feverish, three day sprint and conceived wholecloth in nearyl an instant. Writing that one was just a straight jag from Point A to Point B, with every beat fully formed. It was quick and brutal, but lots of fun. It’s interesting to see how the writing and planning process develops as the writer does 😀 It seems to grow and become more comfortable the more we do it. Which I suppose makes sense! Even the difference between planning long pieces and short works always seems to be such a big change! Very good advice. I will use it when I write my book! I hope it works for you 😀 It always interesting to try out new things when writing. That’s really interesting – I’m not much of a planner myself, so to see so many different methods of planning is a little mystifying to me. It’s really cool though. Just goes to show how each book is its author’s own personal journey. I am always amazed at people who can write a book without much planning! 😀 I wish I could have that freedom, but my brain doesn’t seem to want to let me try! Great post Mishka! The way I approach planning varies a bit for me too. Generally I make an overall plan, but it’s fairly basic. Then I flesh it out with more detail about the characters and events and so on. For my current WIP I’ve done a load of character profiles to try to get to know my characters better and (hopefully) make them more real. But if I’m honest I don’t do a huge amount of planning. I kind of prefer to just get on with the writing, but sometimes I can come unstuck and have to go back to the drawing board! I love doing character profiles, finding out who the characters are in my stories is one the fun parts, especially when things can surprise you! Thank you so much for reading and commenting : And good luck for your release! I seem to practice different processes on every work I do – and right now, I think I do so many works just to have the ability to practice processes. I haven’t found one that I would swear by or stick to, though the current process that I’m doing, I’m really enjoying it! I’ll share just one of my processes; for one of my novels, I created a beat sheet using tarot card spreads. Each card would be the emotion/attitude I would have to invoke in that beat scenework and overarching cards would weave the story. It was extremely time-consuming, but fun to perform the processing, but after I had everything written down and figured out, I had some application issues because I’m not certain about the (in)consistency of narrative perspective. I have even made runic dice for character creation, putting the runes in a cup, shaking it about and then letting them out to form towns and communities for a project. That sounds like an interesting (if intense!) way of planning out a story 😀 And very inventive. It’s nice to try out new ways of planning or writing, you never know when you might just find something that really works! I did a post on this a while ago — I’ve mostly done my writing without outlines, just going scene to scene and making quick notes when I thought of scenes that would come later. But DT required some real planning to figure it all out so I found myself going back to the same style I had for my thesis: color-coded sticky-notes on a big cardboard-display (or a wall). Moving shorthand scene descriptions around until I figured out the order they needed to go in. I’m very curious to see what will happen for the next project, pretty sure SOME kind of outlining will have to occur but I haven’t figured out just what that will look like. I did find having a system where I could move scenes about and see if they suited somewhere else worked out really well for me! I use an electronic story board. That way I can move my cards around until they make sense. I wrote one where only the beginning was outlined. I allowed it to go into the wilderness for a third of the book. At that point, I outlined the end. I call it a bookend outline. I prefer outlining the whole thing, but I may be using bookends again on my current story. That sounds like an interesting way of planning. Just having those end moments planned and going with the flow for the rest! Wow. That’s awesome! I’ve done the note cards method, the fly-by-the-seat-of-your-pants method, and the chapter-by-chapter scene description method. Sometimes I storyboard difficult scenes. But I usually have a map, which helps me orient myself in my world. It is good to try out different methods, isn’t it? I think I’m still trying to find something that will work for every story I write, but I’m not sure that’s possible! So far I’ve only written one novel and I’m about to start a second. I would definitely need to do more planning because it would save me a lot of time when editing. I spent a lot of time checking facts. 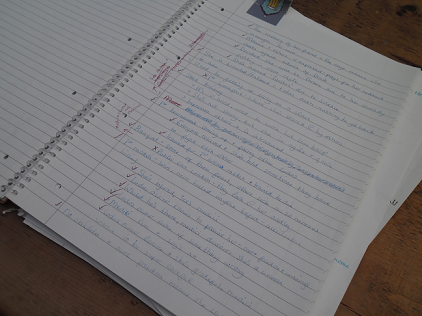 I outline in a very general sense, not chapter by chapter or even scene by scene. But I do try to have an idea as to how I want the ending to look like, so I have something to work toward. Your planning is really great. Great organization. I just usually regurgitate it onto paper, or in this more modern era, Microsoft Word. 😉 I’m not doing anything near book length, though, thank you…baby Jesus…just doing a lengthy review is enough for now. Methodology is important, though, and at least your methods are working even if they vary! Best of luck! I do admire those people who can just write without all that planning! 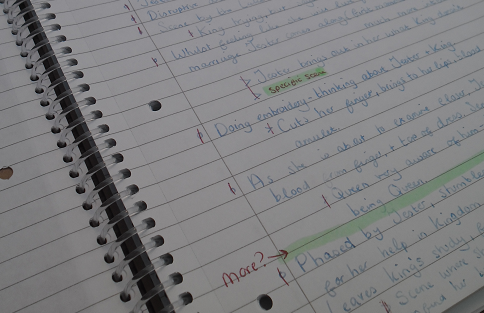 Since I’ve actually started planning my stories out rather than just pantsing everything, I’ve only ever done bullet-point outlines. Some were detailed, some were not. 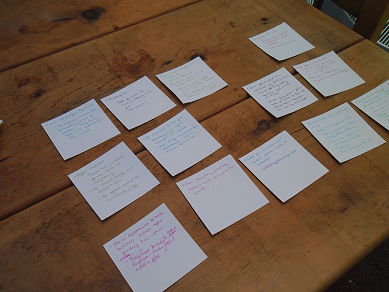 For my 2013 NaNo novel, I translated those bullet points onto index cards where each index card was a single scene with bullet-point details, but the idea was still the same. The index cards were, by far, the most complicated as well as simplest way to do it. Easiest because it allowed me to add details or move scenes around with little-to-no problems. Difficult because I had to keep up with all my cards (I had about 5 cards per chapter and a 25-chapter novel). In the end, once I’d plotted it all out, I typed it up in an outline form to make it easier to transport between home and work and anywhere else I ended up writing. I no longer have the index cards. I suspect my daughters have something to do with that. Nor do I have a copy of the final outline. That is my fault, but I honestly don’t remember getting rid of it… If I even did. I think I will continue using index cards for novels in the future but maybe using only one card per chapter and less details about different scenes so it will be easier to keep track of them. I found using notelets or index cards really useful as well, time consuming, but good 😀 It was really nice to have the scenes to move around and see where they might work better. Good idea about typing it up after though, I didn’t think of that. Would be a lot easier than flicking through cards! Well, each of your books so far has been quite different in terms of structure, so it makes sense that you’d have a different planning process for each. It’s nice to have structure though, at least for me, so as I know where the story is going. I think the map worked because it was a quest-type story, so mapping it out where they were headed worked well. I tend to start with notes on conflicts and how I want the story to end and what could lead up to that, then start filling in from there. Coming up with the ending first can be really useful, it helps to know where you want the story to go.